Clinicians are often unfamiliar with maternal-fetal physiology in critical illness including the possible impact of increased intra-abdominal pressure (IAP) and intra-abdominal hypertension (IAH) on both the mother and the fetus. 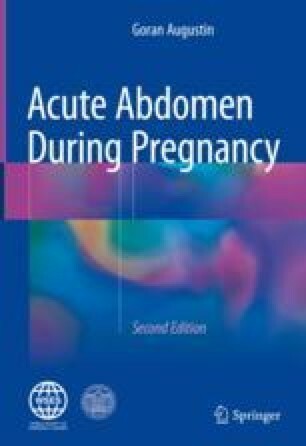 Pregnancy is a particular condition where multiple factors such as obesity, preeclampsia, or postpartum hemorrhage may lead to the over-diagnosis of abdominal compartment syndrome (ACS). When raised IAP is detected and treated, ACS may often be avoided, especially with the adoption of newer resuscitation strategies. Critical illness in pregnancy is not uncommon, given that the population-based incidence of severe obstetric morbidity has been reported to be as high as 1.2% in the UK and 1–3% in the USA. There is little data regarding physiologic and pathophysiologic IAP in pregnancy. Current consensus guidelines group pregnancy and morbid obesity together as chronically compensated states of IAH. Both operative and non-operative conditions can cause increased IAP. Despite the limited understanding of IAH in maternal care, even less is known regarding its effects on the fetus. Whether there are subclinical effects of even modest elevations of maternal IAP on the fetus is completely unknown. Therefore, in all critically ill pregnant patients, IAP should be measured. Treatment options, including non-operative and operative strategies, for its normalization, should be carried out immediately after verification of increased IAP in pregnancy.